A vehicle like the new Honda Accord EX-L needs little introduction—it’s one of the most attractive trims of a beloved model, boasting a combination of affordability and features that makes it purpose for those who want a little more from their sedan without breaking the bank. 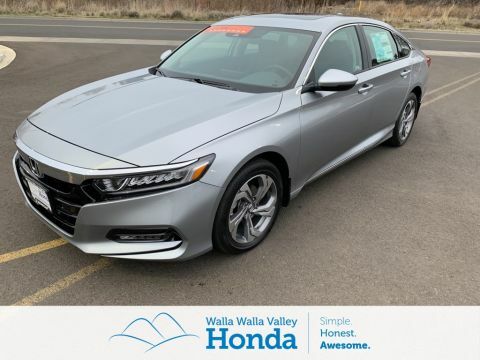 With its advanced safety technology, reliable construction, and smooth performance, the new Honda Accord EX-L is perfect for distinguishing commuters all across College Place, and you can find one right now at Walla Walla Valley Honda. The Accord in and of itself has a lot to recommend it, like the Honda Sensing Suite, which packages a range of safety tech like Adaptive Cruise Control and Collision Mitigation Braking. But the new Honda Accord EX-L really stands out with its offerings, turning a great sedan into a truly luxurious vehicle. It’s a comfort you can literally feel, with leather trimmed upholstery and heated front seats to keep you comfortable in those frigid Washington winters. And with the two-positions memory driver’s seat, you can set your perfect position and keep it. 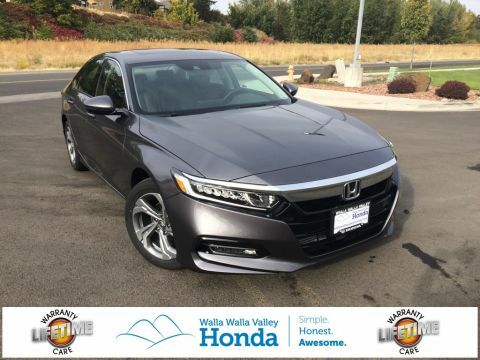 If you want to see what the new Honda Accord EX-L is all about without venturing too far from College Place, then come on out to Walla Walla Valley Honda. We have a diverse inventory of Honda models and trims for you to choose from, including the Accord EX-L, and our friendly sales staff is on hand to help you find and finance your very own. So contact us online, and schedule a test drive today!